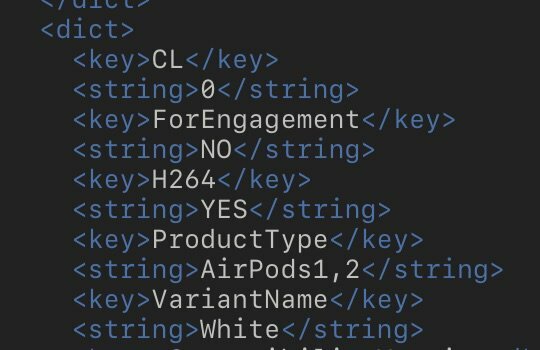 Developer Guilherme Rambo digs into the iOS 12 beta firmware finds that there is a code string that suggesting new colors of AirPods would coming in the future. Though Rambo says this does not mean that Apple will launch AirPods in a variety of color, it's definitely a good sign rather than no hope at all. Apple reported in its latest earnings report that the wearables business revenue has surpassed $10 billion in the past four quarters. It mainly includes Apple Watch, AirPods, and Beats headphones. The year-over-year growth rate of 60%. The contribution of AirPods is indispensable, undoubtedly, AirPods is already a very successful product. Apple has not updated AirPods for two years, several analysts assume that Apple would release the second-generation of AirPods alongside three new iPhones this fall. As for whether it will introduce a new charging case or not, Rambo says that the charging case will add external indicator light which can conveniently display if it's charging or not charging.